Now that the Sketchtoon Coffee Calendar is complete and available for sale, I've been considering ways to make other interesting items with these illustrations. Today I was inspired by Les & Ian's comments on my last post to create a custom 12-pack of sketchtoon coffee wallpapers, designed especially for iPhone and iPod touch screens. 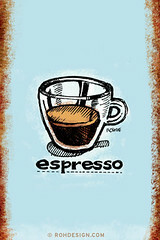 Each sketchtoon coffee wallpaper is a 320x480px color JPG file, available at Flickr as a free download for personal use on your iPhone or iPod touch. If you like the wallpaper art, consider picking up a Sketchtoon Coffee Calendar for yourself or a coffee-loving friend as a unique gift. Update 2007-11-28: I've uploaded Flickr, having adjusted the images to fit properly within the clear window on the iPhone/iPod touch login screen. If you have an older version, check out the updated images and get a new version. Palm and Windows Mobile Users: Please drop me a line and let me know if you're interested in wallpapers for your devices. I'm currently gauging whether I want to produce these in a few more sizes, like 320x320 and 240x320. Let me know what sizes you might prefer. Wow, very cool. They look really nifty on my iPod Touch. In my comment I said I'd pay and since there isn't a donation option I ordered a calendar! Thanks a bunch! I'll add a PayPal donation link here later today. I was thinking along similar lines. I can slice'em up and frame a couple of my favorites for the office or something. I'd be interested in the 320x320 sizes for my Treo 700P (the current 320x480 ones would fit the Palm Tungstens w/ larger screens, right?). And yes Scott, just realized the 320x480 vertical wallpaers ought to work perfectly on Tungsten T5s, TXs and other vertical screened Palm devices, and probably Windows Mobile devices too.